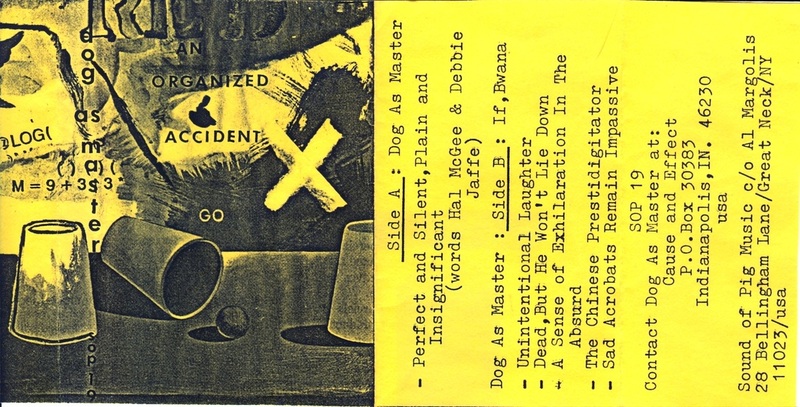 An Organized Accident was the first cassette release by Dog As Master, Hal McGee's solo recording project. Side A of the tape was a 23-minute piece by McGee, with words by McGee and Debbie Jaffe. 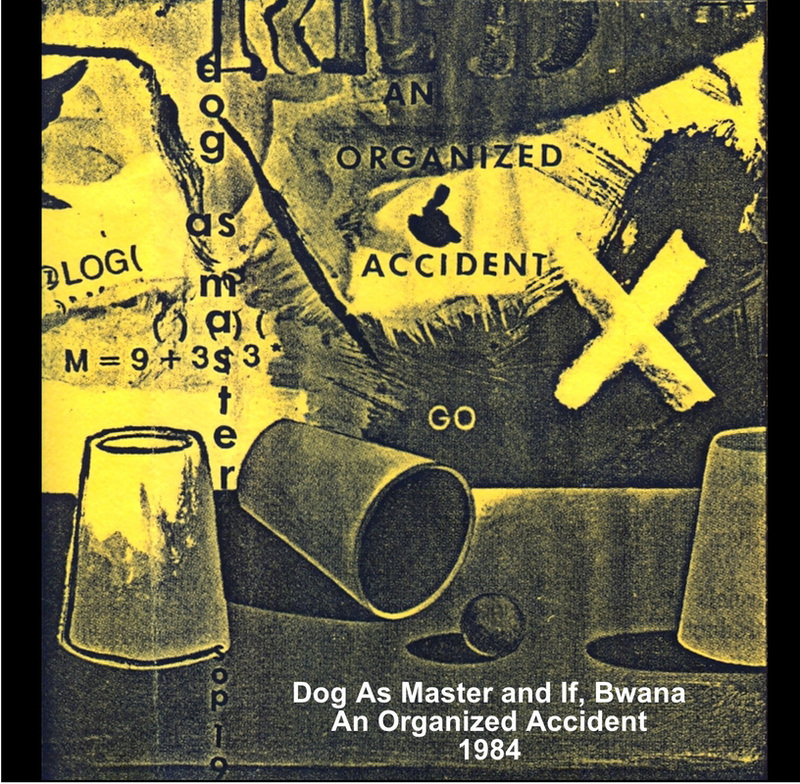 Side B was a 24-minute mail collaboration of Dog As Master and If, Bwana (Al Margolis) - the first collaboration of several by Bwana Dog.